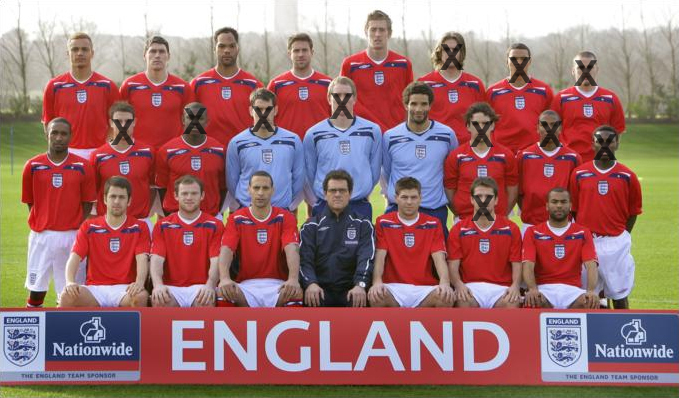 Weekly Photoshop time and this week the theme was the announcement of the initial 30 players contending for an England World Cup squad place. There was no room for the like of Hargreaves and Zamora in the end but there are about seven wingers and a single right back. Hmm. With the initial squad announced, John Terry decides to use Fabio's latest technology for his own unique rating system. After what’s seemed like an age since the last Premier League matches, we return to domestic action after the international break. Plenty to consider this gameweek as four teams play twice and a host of stars are injured. More on that later. Last time round saw an above average score of 52 for myself but this was still quite far off the high score of 107. I was not helped by Drogba and Rooney predictably doing nothing in the big clash between Chelsea and Man Utd; while I also had 13 points marooned on the bench via Joe Hart and Scott Dann, who I hadn’t thought would do much vs Liverpool. Our captain choices did well, with Fabregas having another big week while RVP and Adebayor also had fair contributions. If you had gone with the suggested transfer of Clint Dempsey, he would have scored you seven points too. Maverick thinks John Terry is a fool, but his fantasy score last week was good. Yep, John Terry was Gameweek 12’s Top Gun with the now ubiquitous defender’s score of 15 points for winning goal, clean sheet and three bonus points. The number of times this has happened is ridiculous but fair play if you’ve reaped the benefit. Goose approves of being involved in such silliness. It was a struggle bringing him back from the dead, but through the powers of Google search and Photoshop I managed to do it. Maybe next time Iceman will muscle his way in on the show… Elsewhere Gomes saved a penalty to score 14 for Spurs while Wright-Phillips and Fabregas both got 13, the latter getting his fifth straight man of the match award. With Torres and Drogba very doubtful and Van Persie and Lampard definitely out, the usual field of captain choices is substantially narrowed. In addition to that Hull, Blackburn, Fulham and Everton all play twice so it might be time for some leftfield thinking in terms of captain this week. 1. Bullard/Hull – Feeling brave? Quite the gamble this one but it could well pay off. Bullard is a good player but has been injured pretty much the whole time he’s been at Hull. He made a belated home debut last week and was the key figure in a win over Stoke scoring an assist and three bonus. Now one whole game isn’t much to go on but with Hull having two games at the KC Stadium, one against lowly West Ham you’d assume he would play a part in anything good Hull may do. 2. Anelka/Chelsea – With Drogba doubtful after Jonny Evans’ kung-fu kick to his ribs, and Fat Frank injured after attempting to sprint in England training, it leaves Nicolas Anelka as the most likely source of points for Chelsea this weekend. They face a home tie against Wolves which is as near to a gimme as you can get. I fully expect a comfortable home win with a goal or two from the Frenchman. 3. Fabregas/Arsenal – Fabregas is fast becoming the new Ronaldo of fantasy football. If in doubt for a captain choice, go with him. Sunderland away is the not the easiest place to go this season, but Arsenal have a good record there in recent years and should have enough to win, even without Robin van Persie. 1. 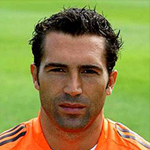 Eduardo/Arsenal – Now that Van Persie is out for several weeks, joining the already injured Bendtner, the onus falls on Eduardo to lead the line for the leading scorers in the team. He has had a very stop start season so far but has still got two goals and two assists in just over 300 minutes of action, which isn’t bad at all. With full fitness and a new contract in the back of his pocket, he should do well over the next couple of months. 2. Etherington/Stoke – He’s kind of slipped beneath my radar but is one of the form players of the last few weeks. In his last five games he has three assists and two goals as well as a few bonus points. Over the next four weeks, only Arsenal is a game which you would class as tough for Stoke. 3. Alexander/Burnley – His price has gone right up now but as long as Burnley keep getting penalties, he’s still worth it I’d say. 1. Van Persie/Arsenal – Out for a couple of months in case it wasn’t already clear. Let’s hope he doesn’t rush back from injury like he has done in the past. 2. Benayoun/Liverpool – Has been in great from this season but has tweaked his hamstring. Also, knowing Rafa he’ll probably find a way to drop the Israeli now that Aquilani is approaching full fitness. 3. Bolton players – Bottom of the team stats with just 345 points between them. Way back in March I wrote a post that tried to predict England’s World Cup squad for next summer’s tournament in South Africa. In it around 50 or so players were analysed; everyone from certainties like Wayne Rooney to certainly nots like Curtis Davies. With the friendly against Brazil fresh in the mind and only one more international break before the end of the season, there isn’t much time for players to impress if they haven’t already. As before let’s work our way through who’s on the plane through to who won’t be going at all. .
First name in the squad is the captain John Terry simply as he’s captain. I personally think he gets found against the very best strikers but there’s no chance of him not going. He’s swiftly followed by Wayne Rooney, Frank Lampard and Steven Gerrard. Rio Ferdinand goes as long as he’s fit, though it’s a concern if he doesn’t make it simply as playing style wise he’s harder to replace than Terry – England don’t have a lot of ball playing centre backs but do have a lot of one paced ones. Gareth Barry is defensive midfielder of choice though may be usurped by a fit again Owen Hargreaves. They’ll both be on the plane however. Ashley Cole and Glen Johnson are the first choice full backs and are far ahead of their immediate competition. David Beckham has sorted another loan spell at AC Milan and I’m positive he’ll be going to his 4th World Cup. He’s very much a bench player these days but still offers great set piece ability as well as experience. Emile Heskey has not been in great form and is no longer in Aston Villa’s starting XI but that said he will still be on the plane. He won’t score but he makes Rooney et al play better so for that reason is picked. David James is first choice keeper, and despite his age should be able to handle that number of games in a month. Theo Walcott has had a succession of injuries but has done enough in the games he’s played to go as a wide man who can play up front. His pace is a big asset, plus he strikes me as someone who does what he’s told hence Capello likes him. Matthew Upson and Jermaine Defoe should go as first back-up centre back and striker respectively. Neither are going to win you a World Cup final but they’re the best reserves in their position. Defoe just needs to watch his petulance slightly as there’s no point having a player who is going to miss games after needless red cards..
Joe Cole should be a little worried, just as he hasn’t found a way into the Chelsea team after injury, but at the same time he offers dribbling ability and creativity that not many can match. I was quite down on James Milner in my last prediction but did say he had a shot of making it. He seems to be impressing Capello right now and can play in a few positions. I do wonder whether he ultimately misses out due to the competition on the right side, though he has been playing down the left for England so you never know. Aaron Lennon will be there or thereabouts, possibly in a straight battle with Milner for a spot. Rob Green looks like he’s firmly established as England’s number two while Wes Brown’s versatility of being a right back and centre back should mean he finds his way into the squad. 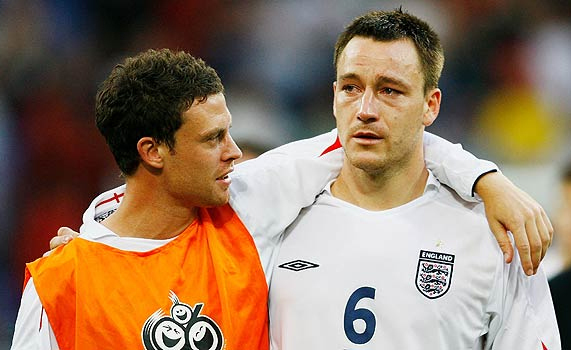 Wayne Bridge is doing his best to play his way out of the squad. You could argue about whether you really need to take a reserve left back, especially when the likes of Gareth Barry could play there if needed. Barring injury, the first choice defence are going to play every game so specialist reserve left back may be an area to gamble on not taking. Of the other alternatives Capello has picked during his tenure, Leighton Baines and Steven Warnock don’t strike me as being quite good enough. If Joleon Lescott goes he provides left back cover too but he is quite shaky defensively so I don’t think he does. There is dearth of centre backs though. What price Kieran Gibbs continuing his rapid progress and staking a claim? Of all those players, he’ll be the only one playing Champions League football but a lot depends on whether he can keep Gael Clichy out of the Arsenal side once the Frenchman returns from injury. He appears to have just injured himself too. I reckon Michael Carrick probably only goes if Barry or Hargreaves are injured and even then he’s shown countless times for Man Utd that he’s not a big game player. Gabriel Agbonlahor offers pace and will find himself with Peter Crouch, Carlton Cole and Darren Bent in the queue for the 4th striker spot. Capello has only ever picked seven strikers so it would be a surprise to see him take five of them, not least when Walcott can play up front. Of the four I would say that the Sunderland man had his chance against Brazil and didn’t take it. I think Agbonlahor doesn’t give enough variety when compare to the others – with a 4th striker you want someone who offers something unique. 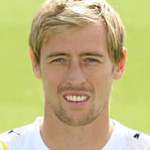 In that regard I’d say it will be a close run thing between Crouch and Cole.The former has a good international record (against crap teams at least) and is very tall (though not that good in the air) while the latter is a more complete striker who has pace, power and can play the target man role too. It’s a tough choice to be honest and I think Cole may need to break his international duck in the next round of fixtures if he’s to pip Crouch. Ashley Young may find himself as number 24 on the list of players though personally I would find a space for him. 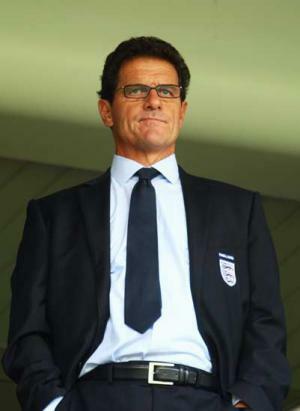 It does seem like Capello isn’t quite sure of him yet. There aren’t too many options down the left but it does seem like either him or Milner would go but not both. Stewart Downing has upgraded clubs but has six months to shine at Aston Villa following serious injury. The same probably goes for Phil Jagielka at Everton. Tom Huddlestone got his first call up against Brazil and while he’s decent player, he’s not yet international standard. 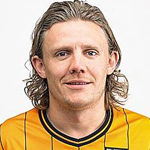 Jimmy Bullard? Unlikely but you never know. I see him being a good pundit though. Scott Parker has a very outside chance of being one of the back-up central midfielders; he’s certainly no worse than Carrick in my opinion. Ben Foster? Joe Hart? Chris Kirkland? Take your pick for the third goalkeeping spot. I doubt it will be the latter though.Of other players we mentioned last time Jack Wilshere isn’t yet getting regular games at Arsenal while Jonathan Woodgate is permanently injured. Dean Ashton has essentially retired. However Gary Cahill has played well enough at Bolton to come on to the radar as 4th centre back and has a chance of going if Capello takes eight defenders. Everton’s Jack Rodwell could be a dark horse but I think it is one tournament too soon for him. The same goes for some of the West Ham youngsters like Mark Noble and Jack Collison. Now thinking "Why are they so useless?" I had Shaun Wright-Phillips as going six months ago but now I think he misses out as you have Lennon, Walcott and Beckham providing all you need down the right (dribbling/goals/crossing). SWP can do all three but not as well and his poor performance against Brazil has sealed a seat next to Papa Wrighty on the studio sofa. Jermaine Jenas is another who isn’t particularly defensive or attacking. World Cup squad players need be specialists once you get beyond the first team, there’s no room for these jack of all trades types who provide little. Michael Owen has yet to be picked by Capello and barring injuries to four of the seven strikers we mentioned will not be going to South Africa. Micah Richards needs to get back in the Man City team before he can think about England – it’s all gone a bit pear shaped for him hasn’t it? 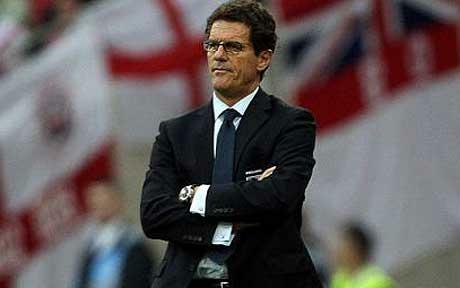 He hasn’t been picked in a year; Capello just doesn’t like his terrible positional play. Scott Carson had a shot at being third choice keeper but he won’t be going and neither will Paul Robinson, who you could roll the ball to very slowly from 30 yards and he’d still find a way to let it in. Sadly, Ledley King can barely handle three games in a month, let alone seven. He would 100% go if he could. David Bentley, Kevin Davies, Anton Ferdinand, Gary Neville – no, no, no and no. 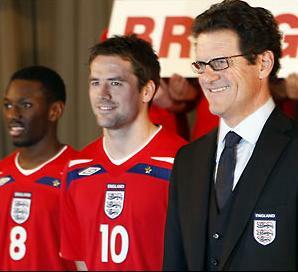 The closest Owen has ever and will ever get to being in Capello's plans. The three keepers speak for themselves as do the first four defenders. Versatility is the name of the game so to complement Upson you have two centre backs in Brown and Lescott that can cover the two full back slots. In midfield you have the three main men plus a fit again Hargreaves. Beckham goes for his experience while Lennon and Joe Cole provide the skill and trickery on either wing from the bench.Milner offers the most versatility of the remaining midfield options so gets the eighth spot. Up front Rooney is a given, as is Heskey due to their partnership. Defoe is the main back up and I think Carlton Cole will play his way into the squad, pipping Peter Crouch whose record of scoring against bad teams is of no use when you only have good teams in the World Cup. Theo Walcott rounds off the squad as a foward player who can play right wing or as striker. At most risk is Lescott I’d say and possibly Milner too. You may want more cover in central midfield and down the left so perhaps Carrick and Bridge or Gibbs (who could also play left wing) end up going instead. Jermaine Defoe was not worthy of my efforts last week but it’s back to normal with everyone’s current public enemy number 1 Eduardo. After he ‘won’ a penalty against Celtic in the Champions League qualifiers, everyone got their knickers in a twist and he ended up with a two match ban. I await UEFA doing the same to every other diver this season. Hmm, somehow that won’t happen will it. Anyway, diving is always a topic with lots of options so I did a couple of attempts, the latter of which got into this week’s gallery. The expert judges felt Eduardo could have done more to ensure contact was obvious. As usual the rest of this week’s entries can be found here. And the old ones can be found here. After just six matches in gameweek two, we’re back to a full program for this weekend’s action. Arsenal and Man City will be looking to score heavily in easy looking home games against Portsmouth and Wolves respectively, while Liverpool will be looking to repeat last year’s 5-0 thrashing of Aston Villa at Anfield. It’s unlikely they’ll quite manage five but they’re a decent bet to continue their good recent home record against Martin O’Neill’s men having scored 15 against them in the last five Anfield meetings. Chelsea and Man Utd have away games against Fulham and Wigan which could both be low scoring affairs while West Ham vs Tottenham could offer potential for random points scoring. Last week our main captain choice did well with Gerrard scoring 11, but Burnley screwed any Man Utd clean sheet we may have been expecting. A quick word for Amer who is one of the people in our private league. After picking Fabregas as captain in week one and Johnson as captain in week two, as well as good scoring from the rest of his team, he finds himself 23rd overall in the whole game. That’s out of nearly 1.8 million players. Mental. Congratulations are due but I have one thing to say to you though Amer and that is the only way from here is down! Johnson takes Maverick's breath away. The Liverpool right back scored a mighty 18 points from defence this week (or 36 for Amer…) through a combo of goal, assist, clean sheet and three bonus points. He’s expensive at £7.5m but doing well so far. He just pipped Jermaine Defoe’s 17 point haul (hat-trick and three BP) . Credit must go to Brian Jensen of Burnley too, he got 14 points after keeping Man Utd at bay and saving Carrick’s penalty. Well played sir. On to the picks. 1. Ireland or Adebayor/Man City – With a home game against Wolves, Man City will look to build on their opening win at Blackburn. Last season Man City were useless away but scored 40 goals at home which was bettered by only Chelsea and Man Utd. I expect similar levels of goals this year and Wolves are a good game with which to start. They were pretty good in their away win against Wigan but I don’t think they’ll hold out against City. I think it makes sense to go for Ireland or Adebayor, the latter in particular could terrorise Wolves’ centre backs. 2. Arshavin/Arsenal – It’s been a bit of a slow start for the Russian this season, he hasn’t been especially involved in Arsenal’s two victories this season. He only assisted one of Arsenal’s six goals against Everton and wasn’t up to much against Celtic. Portsmouth however, are a team stripped of most of their assets so he should get off the mark goalscoring wise on Saturday. 3. Bent/Sunderland – Supreme tweeter Bent has opened his Sunderland account nicely with two goals in two games. You could do worse then pick a striker in form against Blackburn at home. 1. Defoe/Tottenham – A few days after saying avoid Spurs strikers in my gameweek 2 preview, Defoe’s hat-trick against Hull has made me think otherwise. It’s beginning to look as if it will be him and one of Crouch or Keane as the regular partnership so it’s safe to bring the man the police like to stop into your team. £8.5m is a fair price I believe and he should be among the top scorers this season. 2. Johnson/Liverpool – He’s very expensive at £7.5m but already has been making a big impact in his two games with a goal and two assists. He’s guaranteed to get lots of clean sheets but with Liverpool set to attack more via the full backs this season, the attacking points should continue to come in too. 3. Birmingham defenders – Cheap as chips and have showed in their two games that they shouldn’t concede too many goals this season. A few of them are injured at the moment so perhaps wait to see who the settle back four are but safe to say that for £4m you’ll be getting pretty good value whoever you pick. Might be a worth a pick. 1. Terry/Chelsea – Selected in 21% of teams. I don’t see it myself. I’d much sooner have Ashley Cole, Bosingwa or Zhirkov once he’s fit if you’re insistent on spending £7.5m on a Chelsea defender. They have much more scope for attacking points. 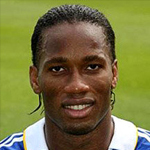 I think people remember the two seasons where Chelsea won the title and he scored a few goals. Since then he has scored one league goal a season. One! 2. Expensive goalkeepers – It’s early days yet but the top four scoring goalkeepers so far all cost £4m and the fifth is £4.5. Now of course the weaker sides aren’t as solid defensively so clean sheets will be at a premium, but the number of saves the keepers have to make more then make up the points difference. 3. Man Utd midfielders – Looking rather pedestrian at the moment. I think it’s fair to say most of the creativity will be coming from Rooney and Berbatov this season. Players like Valencia will have their good days but for the price most Utd midfielders are , you’d be far better off investing that money elsewhere. Another month passes, another international week appears just when you least want one. The title race was just beginning to get interesting with Liverpool gathering momentum and Man Utd being on the rocks. You’ll notice there hasn’t been a post for a couple of days. This is mainly due to my brain switching off at any thought of international friendlies and qualifiers. I guess the games are important but I for one am happy to just wake up in ten days time knowing that everyone who was meant to win probably has and that I spared myself from watching 180 minutes of tedious football. Jermaine Jenas? You must be joking! Most of the first choice XI picks itself so the usual suspects can consider their position safe barring a dramatic loss of form or injury. People like Gerrard, Rooney, Lampard, Terry, Ferdinand and Ashley Cole have nothing to worry about. If fit they go. David James will probably still be playing well enough but I wonder if he can hold off Foster as first choice. Joe Cole is one of the few in the squad with the ability to take on a man but his injury record is a worry. Gareth Barry may well be at a bigger club than Aston Villa next season and his versatility at three positions gives him an advantage over someone like Jenas (the other advantage being that he’s better, full stop). I think next season should see Ben Foster finally become first choice England goalkeeper. I imagine that if he’s not playing for Man United by Christmas, a loan move in January will ensure he has enough football under his belt to make the cut. Glen Johnson has improved greatly at Portsmouth and could well be first choice right back. Carrick and Hargreaves are both strong contenders as they play for Man United and are the best holding midfielders England have. It could be a bit of luxury having both those guys and Gareth Barry too. Judging by what we’ve seen so far, it may well be Carrick who misses out. Walcott and Agbonlahor offer similar skills (great pace, inconsistent finishing) and it wouldn’t surprise me to see both picked. Walcott is very much ahead in the race though and for now Gabby belongs in the next column. Joining Walcott will probably be Heskey and Crouch. Both offer something different, which in international football means you get picked, even if your goalscoring record is not great. Matthew Upson appears to have established himself as third choice centre back meaning he plays if either Terry or Rio are injured. I’m not convinced he has what it takes against the very best. I’d sooner take people who can play full-back and centre half as my reserve defenders and free up a midfield or striker spot. Wayne Bridge probably goes for the simple fact he possesses a left foot and plays full back. No chance of dislodging Cole but better than any other reserve. Wes Brown seemed to be first choice right back earlier in the season but I’m not sure how long he can keep this up without being first choice right back at Man United. As he can play centre back too, he should make it. We can’t end this bit without mentioning Sir David Beckham (believe me that knighthood is coming). For all his critics, his lack of pace, and superstar lifestyle, there’s no denying that he loves playing for his country and has done everything he can to ensure Capello still picks him. Personally I think he still has a lot to offer coming off the bench, and his experience and dead ball expertise will be useful in closing out games. Plus, if some other players showed half as much passion when playing as he does, you might actually have a team that cares. Lots of players who have done well this season will need to maintain their form next year if they are to make it. The likes of Phil Jagielka, Carlton Cole and the aforementioned Agbonlahor have all had good seasons at smaller clubs but will have to show it’s not a one off. The latter’s Villa teammate Ashley Young stands a good chance of going for his crossing ability alone and he offers pace from midfield which is a bit of a rarity in the England squad. 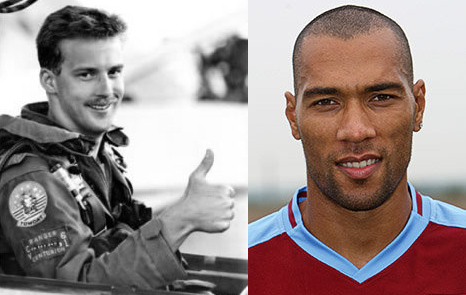 For Carlton Cole to go, a defender may have to be sacrificed. To be honest I would go with seven defenders and five strikers, you’re more likely to need options to chase a game than defend it. Micah Richards will presumably bounce back next year from a poor season at club level and his ability to play right back and centre half gives him advantage over a few others. Kirkland should go as third choice keeper and it’s good to see him get rid of the injury proneness that blighted the early part of his career. Jermaine Defoe takes the spot of poacher ahead of Michael Owen. His (ex-)partnership with Crouch is another plus point. Wright-Phillips and Aaron Lennon offer pacy right wing play which will be a nice alternative to the slow right wing play of Beckham. It may come down to a choice between SWP and Young, but I’d happily take them both. I think you're ok. I need eye contact if I'm to like you. A couple of years ago, you’d put a lot of money on Michael Owen breaking Bobby Charlton’s scoring record. He’s now stuck on 40 however and Capello clearly doesn’t fancy him. I know his play is limited to the penalty area (being generous) but if my team needed a goal with ten minutes left, there are few better poachers in the English game. Joining him are West Ham teammates Scott Parker and Rob Green and ex teammate Anton Ferdinand, all decent players but not quite international quality. Gary Neville’s time has been and gone and his injury nightmare has seen several right backs overtake him in the pecking order. Phil Neville will do his usual trick of being in every squad in the run up to the finals but then not make cut. Stewart Downing will need a move to a bigger club, as he’s become a bit stagnant at Boro. He seems somewhat one paced for a winger and will probably miss the cut. Joleon Lescott seems to behind Jagielka in the pecking order though if he cuts out the mistakes he may yet be taken for his left back ability. Joe Hart and Paul Robinson need solid defensive campaigns to be considered, as do Jonathan Woodgate and David Wheater. 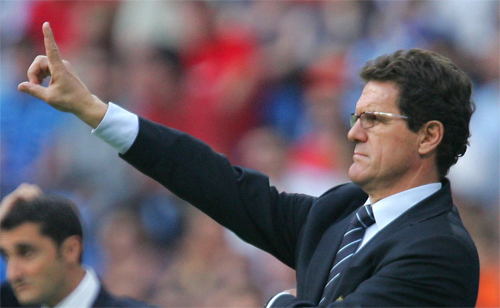 It’s always tricky to break into a squad with only a year left before the finals but Capello has shown that he looks at form not reputation. I tend to think that with the last couple of squad places it’s worth taking a gamble on something different rather than just wasting it on another generic central midfielder like Jenas (nothing against him personally but he does epitomize the kind of player who is jack of all trades). Sven had the right idea in taking Walcott to the last World Cup but never got round to actually putting him on the pitch. James Milner could be an outside shot if he continues improving at Villa though I personally don’t really rate him. Ledley King would be a great option at centre back but he can’t handle seven games in a month. Dean Ashton could feasibly to the job that Heskey does but with perhaps a few more goals. He’s always getting himself injured though. Jack Wilshere is very highly thought of at Arsenal despite being just 17 but it would require him to start playing regularly in the league which will probably be a season too soon. Beyond that you have the usual selection of players who get tipped for a potential England call but actually have no chance of going barring a deadly viral outbreak which wipes out the 50 best players in England. I’m talking about the likes of Kevin Nolan, Kevin Davies, Jermaine Jenas, David Bentley, Tom Huddlestone, Darren Bent (noticing all the Spurs players? ), Leighton Baines (though a good season could see him challenge Bridge), Luke Young, Nigel Reo-Coker, Curtis Davies, James Beattie, Jimmy Bullard and Andy Johnson. High five, up above, down below, you're too slow and you're staying home. With Gameweek 20 coming just two days after Gameweek 19 ends I think it makes sense to put the two together in a joint preview. I’m sure many people will miss one or both of the deadlines due to various Christmas commitments. Last week saw a selection of games that were hard to predict and some low scores overall. Lots of defenders getting good points while just eight players got into double figures (including Cech and Friedel). With most teams playing two game in three days squads will be stretched, meaning we may see some players missing the second round of fixtures. Who will get good points in their cracker? 2. Young/Aston Villa – Played well last week but only got a bonus point for his efforts in a tight game against Aston Villa. I am slightly worried at what he may do to Arsenal at the weekend, he seems to love playing in evening games and his pace and crossing will cause real problems. The second game is at Hull and there will be plenty of goals in that match. 3. 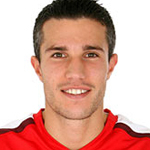 Van Persie/Arsenal – Whilst Villa have a good shot of beating Arsenal I’m not sure they can keep a clean sheet. Laursen is apparently out with a knee injury and their defence generally isn’t super tight anyway with 20 goals conceded. RVP is a man in good form this year with seven goals and 15 bonus. With Ade out he will lead the line (possibly on his own) against Villa and is a good shout against Porstmouth two days later. 1. Jones or Cisse or Malbranque/Sunderland – Whether it’s actually down to Ricky Sbragia or just because anyone would be more cheery than Roy Keane, Sunderland are playing with a bit of freedom at the moment. They have eight goals in two games and face Blackburn and Everton over Christmas. Cisse has been a regular scorer all year with eight goals while Jones is beginning to pick up where he left off last year. Malbranque meanwhile has already got nine assists and is now one of the top seven midfielders. 2. 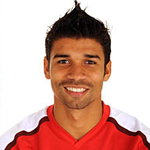 One of Denilson or Diaby or Song or Nasri or Eboue or Ramsey or Wilshere – Arsenal – How times change. After slating them in recent weeks people like Diaby are now an option. The reason? Fabregas is out injured for four months. This means someone has to take over the creative duties, at least until January when Wenger can buy (though knowing him he won’t). If I’m perfectly honest I’d probably only go for Nasri out of this list or maybe Denilson as he’s cheap. I imagine that assists will probably be quite spread out but all of these guys are under £6m (Nasri aside) so take a punt on whoever you think will step up. 3. Bullard/Fulham – Their defence is keeping it tight at the back but Bullard is pulling the strings further up. Two goals and TEN bonus points in his last five games. Only £6.3m too. Players to avoid/get rid of. 1. Fabregas/Arsenal – Hobbled off at half time in last week’s Arsenal v Liverpool match after a tackle by Alonso. Now confirmed as being out for four months with knee ligament damage. He could be back for the last eight games of the season but at the same time given Arsenal’s track record with injuries it wouldn’t be a shock if he didn’t return till 09/10. I guess it will depend on whether Arsenal have a shot at a trophy come April. 2. Terry/Chelsea – Not only did he start the season costing a ripoff £7.5m (how?! ), he’s now been sent off twice this season. While Chelsea have a rock solid defence, none of their other defenders cost more than £6.5m at the start. It’s not as if he’s even the prolific goal scorer of 05/06 – he has zero goals this season, while only scoring one in 07/08 and 06/07. I’m just glad that people have finally realised he’s not even the best defender at Chelsea let alone England. 3. Keane/Liverpool – I reckon his strike against Arsenal was his ‘David Bentley moment’. Bentley also scored a great goal at the Emirates which will clearly be the highlight of his season and has done nothing since. I think Keane may go the same way.